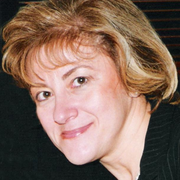 Dr Sophie Mavrogeni (MD, FESC) is originally from Greece, born in Thessaloniki. She started her CMR training at the Royal Brompton, London, UK and had a sabbatical at the University of Alabama at Birmingham, USA (1991-1993). She has a board certification in Internal Medicine and Cardiology followed by board certification dedicated to CMR (SCMR level 3 and EuroCMR level 3). Since 1993 she is in charge for the CMR activities in Onassis Cardiac Surgery Center, Athens, Greece. In parallel, she is scientific advisor in Pediatric Clinic of Athens University. Furthermore, she was founder and 1st President of the Greek CMR WG (1999-2002). Her research is focused on Non-ischemic Cardiomyopathy and specifically on “CMR in Internal Medicine –Neurology”, including studies on Thalassemia, Dystrophinopathies, myocarditis and rheumatic diseases. Dr. Mavrogeni has a high interest in CMR teaching and was the organizer of the annual international CMR Workshop in Athens (2000-2014) and the first “EuroCMR level 1” course in Athens, 3-5 October 2015, endorsed by both SCMR and EuroCMR and accredited by EBAC. She authored and co‐authored more than 150 publications focused on CMR and established clinical and research CMR activities in Greece. She has the early SCMR “member‐number” 7, indicating her long interest in the Society. She is convinced that a strong SCMR can promote the collaboration between Cardiologists, Basic Scientists and Radiologists and push CMR application worldwide.